Former international referee Howard Webb has stated that the greatest mistake of his career has been in a match opposing Manchester United and Tottenham Hotspurs. He said that he awarded a penalty in the game and that now he believes that the penalty was unnecessary. He said that the game was back in 2009, and Manchester United was trailing 2-0 at Old Trafford. Wayne Rooney played a wonderful through ball that set up Michael Carrick one on one against the keeper. Gomes, who was the goalkeeper at that time, came rushing and got a touch on the ball. At that moment, Howard Webb awarded a penalty despite the fact that Gomes has a hand on the ball. He said that he did not take into account Gomes protest and believed that at that time he took the best decision. He admits that he misread the situation and as a result made a wrong decision to award the penalty. Cristiano Ronaldo scored the goal on the penalty and allowed Manchester United to come back into the game. The victory even had an impact on the title that year with Manchester United going to win the title by four points over Liverpool. Howard Webb said that his mistake in the game had an impact on the title race that season, and this is what makes it the biggest mistake of his career. 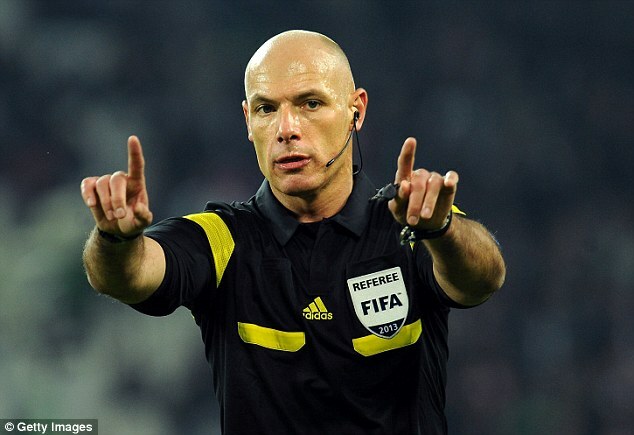 Another mistake that is often attributed to Howard Webb is the decision not to send off Nigel de Jong in the World Cup match opposing Netherland to Spain. Indeed, de Jong appears to be clearly kicking Alonso in the chest, and Webb chose not send off the Netherlands player. This has been a talking point for some time and appears to be another high-profile mistake by Howard Webb.